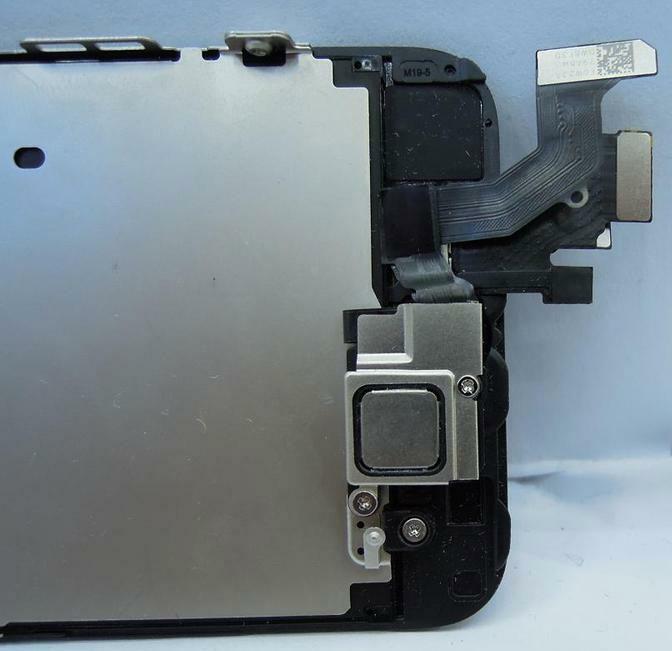 The latest leak claiming to show parts from Apple's next iPhone offers a closer look at a mysterious internal component located next to the earpiece, revealing it does not house a near-field communications chip. The latest pictures published on Thursday by Sonny Dickson offer a look underneath the square metal bracket located at the top of the device. 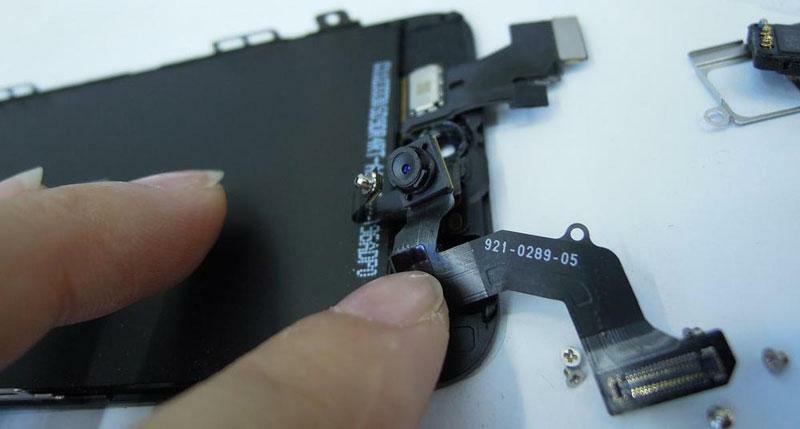 The pictures show that there is no NFC chip located underneath the component, further quashing hopes of e-wallet functionality in the company's so-called "iPhone 5." Last week, the well-connected Jim Dalrymple of The Loop reported that Apple's next iPhone will not feature NFC technology, sometimes known as radio frequency identification, or RFID. NFC chips are currently found in many Android-based handsets and other smartphones that compete with the iPhone, and allow features such as wireless e-wallet transactions. The forthcoming release of iOS 6 and its inclusion of Passbook, a new wallet-type application built into the mobile operating system, helped to fuel speculation that Apple would put an NFC chip in its next iPhone. Those rumors gained steam when a picture claiming to show the front assembly of Apple's next iPhone was shown with a mysterious metal square that some speculated could be concealing an NFC chip. 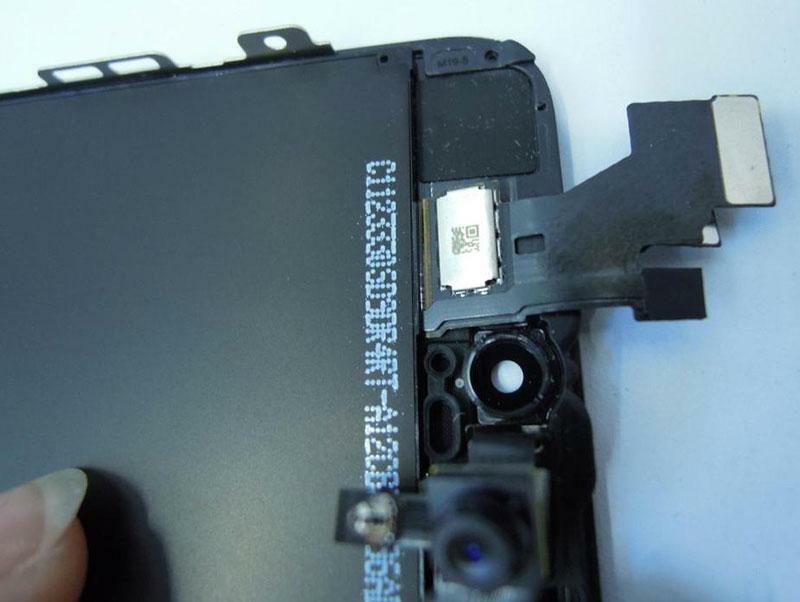 But the latest pictures leaked on Thursday suggest that there is not an NFC chip or similar technology located under the bracket. They suggest instead that the bracket holds in place the forward-facing FaceTime camera, proximity sensor, and earpiece speaker. This week, AppleInsider detailed reasons why Apple may have chosen to pass on NFC technology, including security concerns. At this summer's Black Hat conference, hacker Charlie Miller demonstrated NFC security flaws with Android smartphones, including Google's Nexus S and Samsung's Galaxy S.
Apple is expected to debut its next-generation iPhone at a media event scheduled for next Wednesday at San Francisco's Yerba Buena Center for the Arts. The keynote presentation will kick off at 10 a.m. Pacific, 1 p.m. Eastern. While the new iPhone is not expected to feature NFC functionality, it is anticipated to be a completely redesigned handset with a larger 4-inch display and an all-new, smaller 9-pin dock connector.